Use of flexibilities in international trade rules, transparency of costs, fair pricing, and adequate research and development were among the requests put forward by health activists and others. The Medicines Patent Pool meanwhile asked for suggestions on most crucial needs in the context of the hypothetical expansion of its licensing model to a broader range of medicines. The WHO Executive Board met from 24 January to 1 February. All statements of nongovernmental organisations and other non-state actors can be found here. A number of NGOs called for a more systematic use of the flexibilities provided by the World Trade Organization Agreement on Trade-Related Aspects of Intellectual Property Rights (TRIPS), and some asked that growing efforts of countries to make use of those flexibilities not be threatened by unilateral pressure from some governments. “If a new drug is made, but people cannot afford it, does it still cure disease?” asked Medicus Mundi International. They added that the WHO needs to provide active support to member states to use the TRIPS flexibilities to combat high drug prices. Oxfam concurred and suggested that the WHO proactively promote the use of the TRIPS flexibilities. The Drugs for Neglected Diseases initiative (DNDi), a public-private partnership, suggested the development of a pro-access legal terms repository promoting access to knowledge throughout the research and development process, and reflecting the flexibilities provided for in the TRIPS agreement. Strong IP rights are critically important to the discovery of new treatments and vaccines and improve patient access by incentivizing faster diffusion of these technologies around the world, countered the International Federation of Pharmaceutical Manufacturers and Associations (IFPMA). According to IFPMA, WHO technical assistance on IP and trade issues “should strictly follow the mandate given by member states in GSPA” (Global Strategy and Plan of Action on Public Health, Innovation, and Intellectual Property, previously known as GSPOA). “It is fundamental that any IP advice is based on areas of broad international consensus and that WIPO and WTO are systematically involved,” the IFPMA said, referring to the World Intellectual Property Organization and World Trade Organization. Médecins Sans Frontières (MSF, Doctors Without Borders) underlined the commitment on GSPA by WHO member states during the last World Health Assembly (IPW, WHO, 25 May 2018). MSF voiced concerns about the fact that several agreed recommendations concerning the promotion of technology transfer and the management of intellectual property, and in particular the full use of flexibility in TRIPS to promote affordable access, are not reflected in the roadmap. According to the IFMSA, the current research and development system has proven “ineffective at producing medicines, particularly for neglected populations.” The association supported the implementation of research and development models that promote innovation and access, as recommended by the WHO Consultative Expert Working Group on Research and Development (CEWG). The tuberculosis (TB) epidemic will persist, and TB drug resistance worsen, predicted the International Union Against Tuberculosis and Lung Disease, if new tools to treat, diagnose, and prevent TB with affordable and equitable access are not in place. The union supported the WHO’s development of a Global Strategy for TB Research and Innovation 2020-2030. Health Action International (HAI) remarked on increasingly unaffordable prices, limited availability, lack of unbiased information, or misalignment between R&D ambitions and real health needs, while Knowledge Ecology International expressed disappointment with “the slow and unfocused implementation” of the WHO R&D Observatory. “Transparency ensures accountability and is an indispensable component of the good governance of medicines,” HAI said, adding that this applies to governments, but also intergovernmental organisations, the private sector, civil society, and public-private partnerships in which WHO participates. Medicus Mundi International urged the WHO to be bolder in its action to ensure equitable access to medical products and said WHO should support member states in establishing publicly-owned pharmaceutical manufacturing to address areas of market failure, and enhance access, and build developing countries’ manufacturing capabilities. Oxfam called for exploring incentives for biomedical innovation based on delinking financing of R&D from the price of resulting products. The Medicines Patent Pool remarked that the draft roadmap suggests a deliverable support for the expansion of the MPP to other patented essential medicines through identification of potential products for licencing. The MPP invited WHO members to help them prioritise with the WHO medicines for which they think there is the greatest need for affordable access and where the MPP licensing model can have the greatest public health impact. The Drugs for Neglected Diseases initiative (DNDi) suggested that the WHO reconvene the Expert Committee on Health Research and Development to identify health research and development (R&D) priorities. 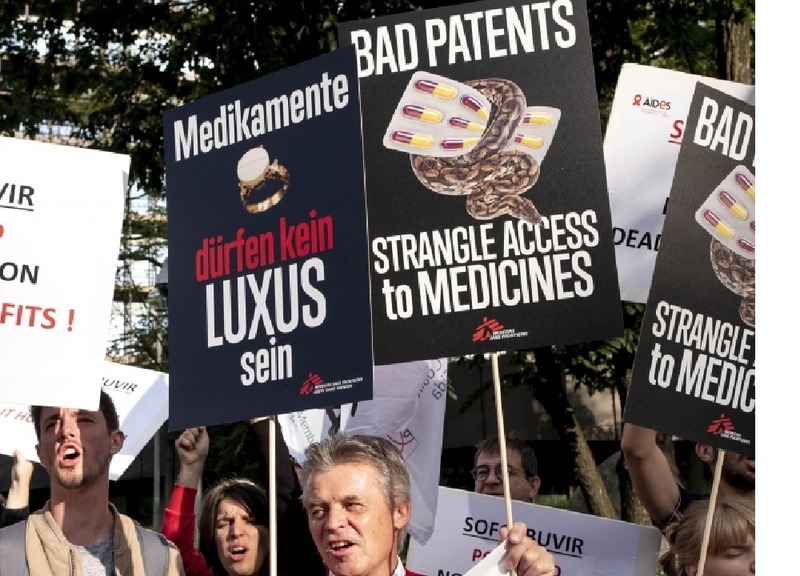 "IP Still At Heart Of Access To Medicines Discussions At WHO" by Intellectual Property Watch is licensed under a Creative Commons Attribution-NonCommercial-ShareAlike 4.0 International License.